I've never gotten jittery or a buzz or from any kind of tea, though I firmly believe that I function better after some tea. Not because of the caffeine or Theanine, but because tea makes me happier. No matter if I'm awfully upset or elated, tea makes everything better. I love coffee, but I can definitely feel the effects of caffeine after a delicious pour over, or french press.. or two. Not so much with espresso but that's a topic for another time. Whenever I have too much coffee and it's late I get this weird feeling where I can feel my body is tired, but my mind is alert and very focused. I normally love the feeling I get after a few well-made cups, but when I need to sleep it can make doing so very difficult. 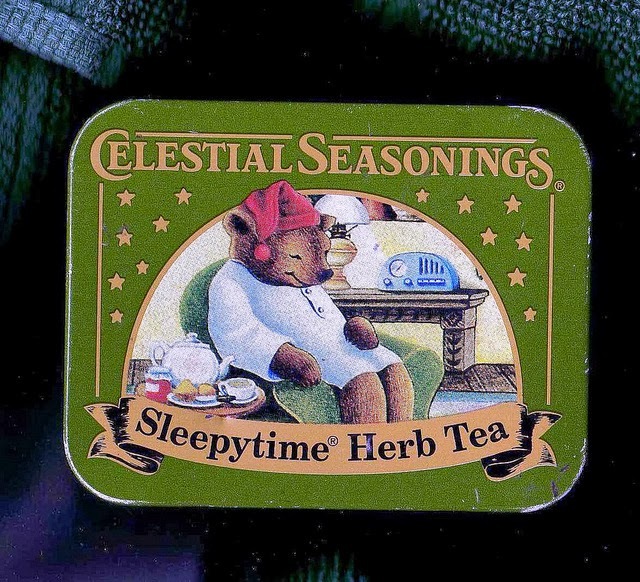 When that happens I turn to some of the heavily roasted, low grade oolong I have that has very sleepy cha qi or I go for some sleepytime by celestial seasonings. I normally don't like bagged tea, but I haven't been able to find a good enough loose leaf blend like sleepytime. Anyway a cup or two of either one of those really helps sooth my mind and calm me down. Sleepytime can be found in almost any grocery store and is only a few bucks.